Last weekend we took James and Evelyn for a day out to Wookey Hole Caves. Located in Somerset in the South of England are Wookey Hole Caves a fantastic family day. 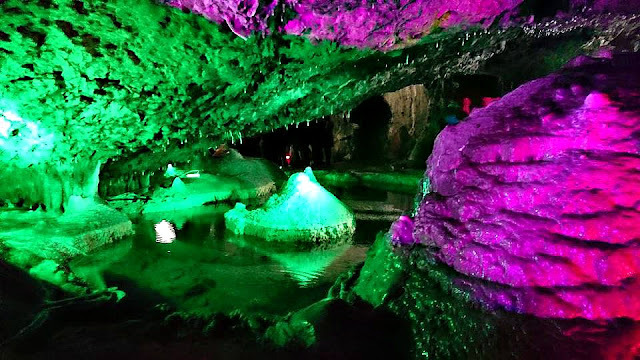 Here you can visit the Wookey Hole caves and find out all about the history of these magical caves and caverns but that isn't where the fun ends. 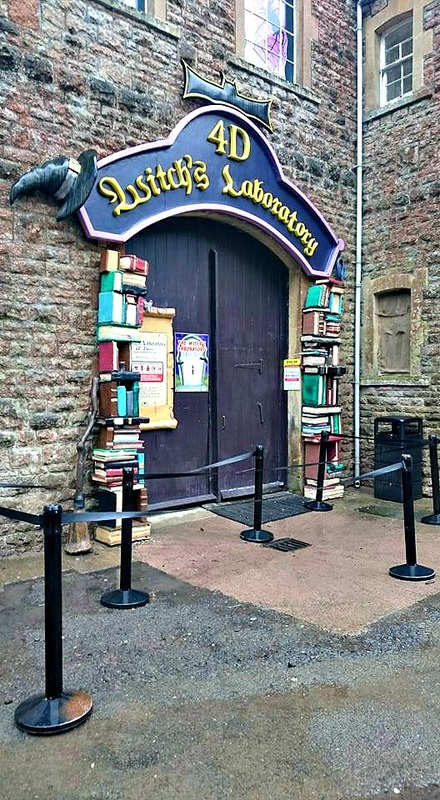 There is so much more to do at Wookey Hole including exploring the fairy and dinosaur gardens, mini pirate golf, paper making, penny arcades, mirror mazes, fantastic circus show, diving and paper mill museum and much more! 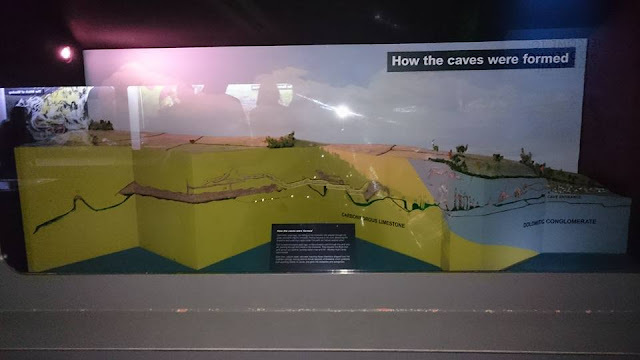 We started our day out at the caves, the ques were relatively long but went down quickly meaning waiting time was minimal and a lot of the queuing area is undercover which was great for us as it was raining when we arrived. The tour starts at the beginning of the cave network where you are shown into the caves along with a group of people and your tour guide. 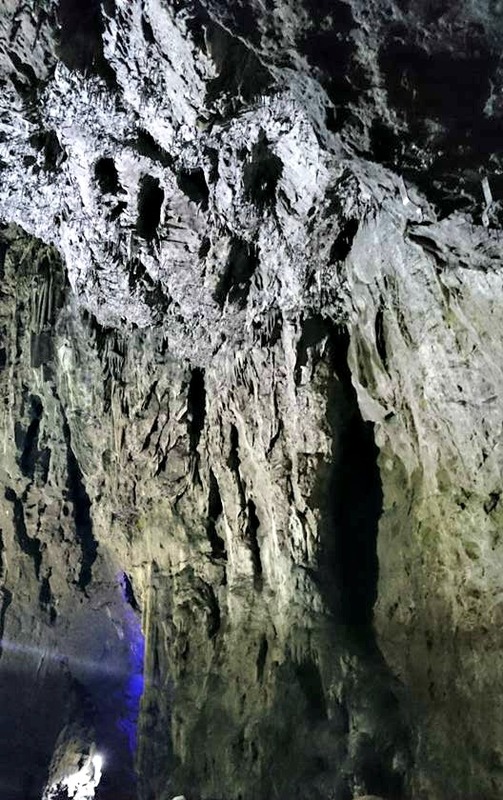 The tour guide shows you through the caves and will also give you bits of information as you pass through certain parts of the cave, we found this really interesting to hear about the history of the caves and things that had been found inside! The caves are absolutely fascinating and well worth a visit, certain parts of the cave system are lit up with beautiful colours which make the cave look even more spectacular as you walk around. Be warned there are some low areas that require you to duck underneath though. 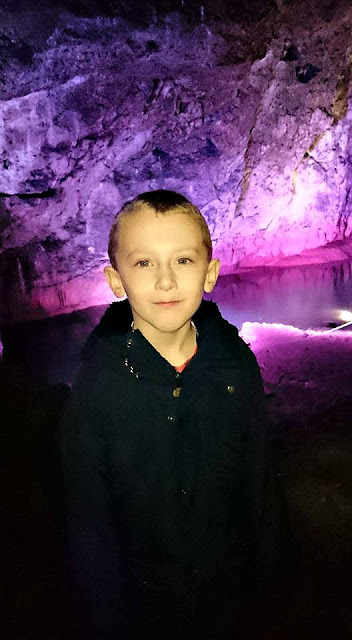 James loves the caves, we have visited Wookey Hole several times and he never gets bored of exploring them and hearing the tales and history from the tour guide. 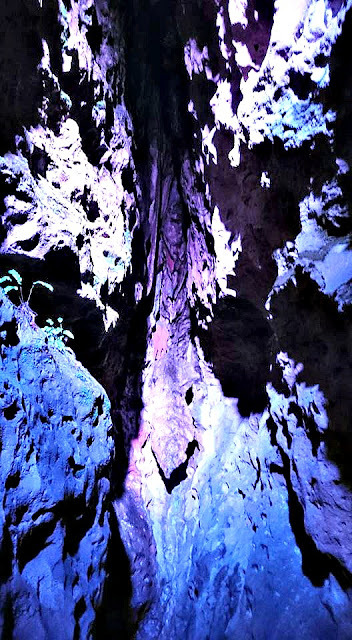 Each time we visit we notice something new and discover something new about the caves. 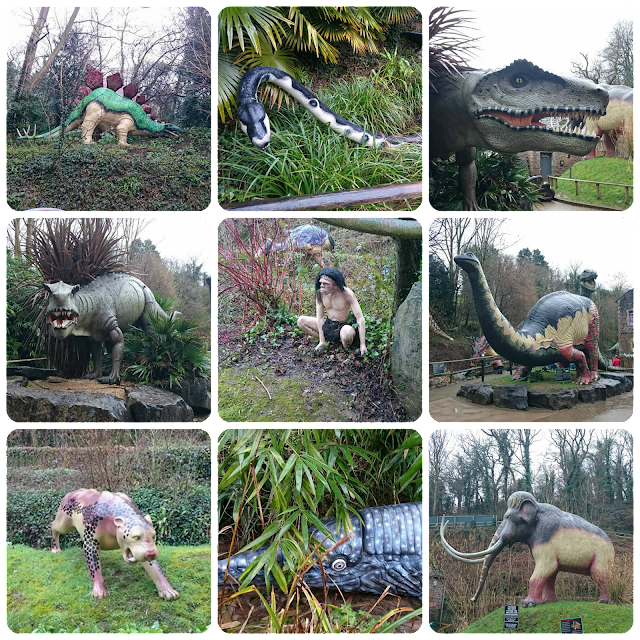 As I mentioned above there is so much more to do here than just the caves, when you exit the caves you are led into a beautiful fairy garden which leads in to a prehistoric land of dinosaurs and cave men much to the excitement of James! 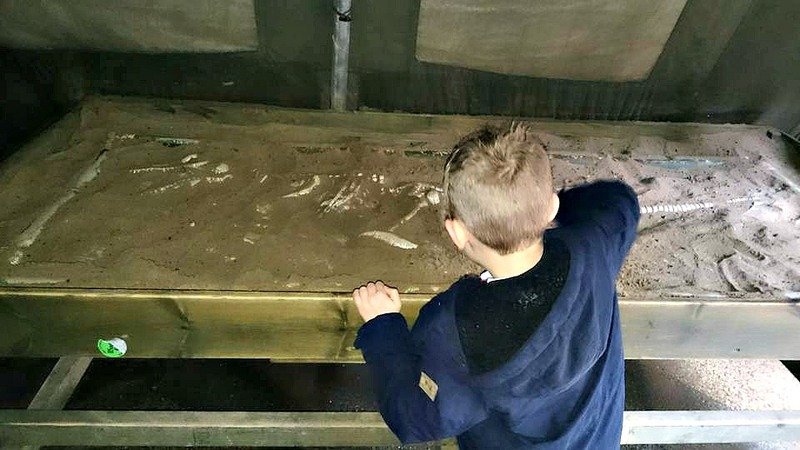 The kids can even have a go at excavating their own dinosaur bones/skeleton with 3 skeletons to discover. Relatively new to Wookey Hole is the 4D cinema which James was really excited to visit. 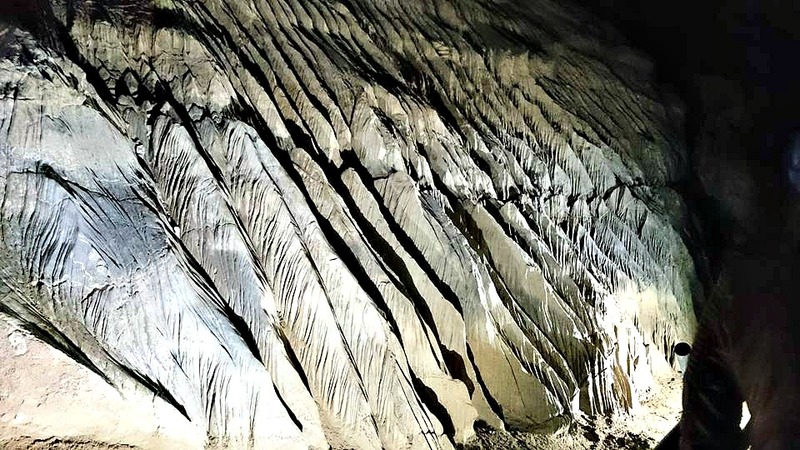 Currently it is The Lost World which is a dinosaur themed short film being shown although this may change. Unfortunately Evelyn isn't old enough to go in as children need to be 3 years + to enter, however James and my husband said the film was fantastic and well worth a watch. The film lasts for around 20 minutes and is shown at regular times throughout the day which are shown outside the building. 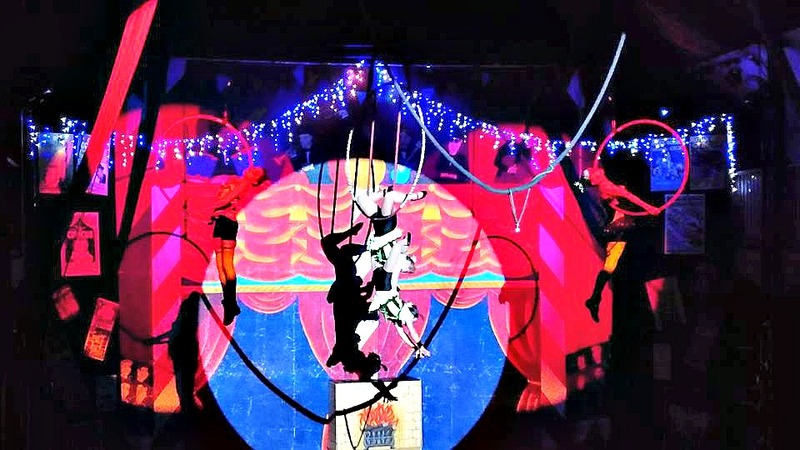 One thing not to be missed whilst you are at Wookey Hole is the Wookey Hole Circus. 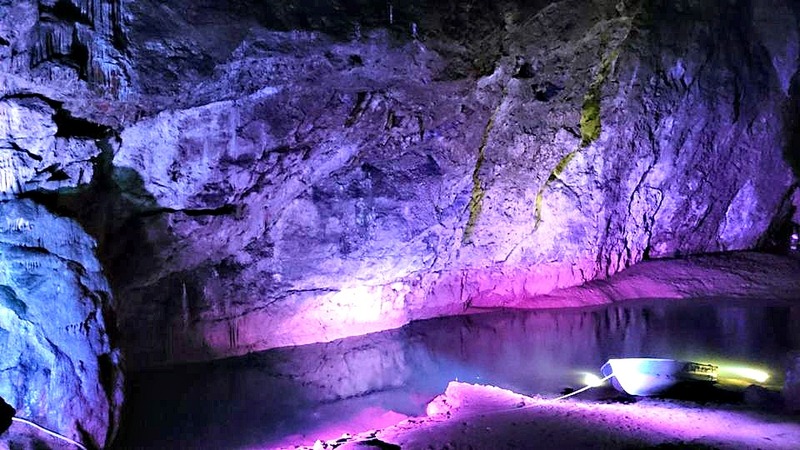 The circus shows are only on during weekends and school holidays so be sure to check dates on the Wookey Hole website before you visit. The circus show is actually performed from students of the Wookey Hole circus school and their talent is clearly shown in their fantastic performances. 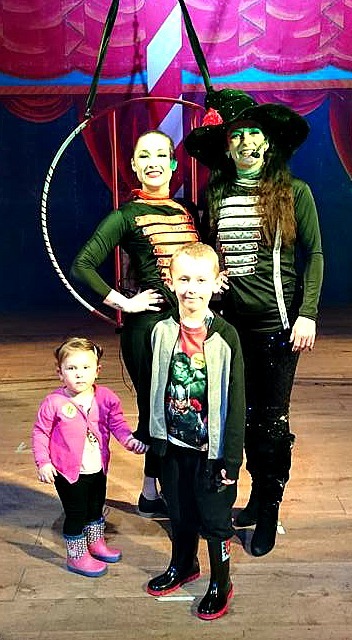 The circus show even features the Wookey Hole witch who you can have your photo with after the show if you wish. 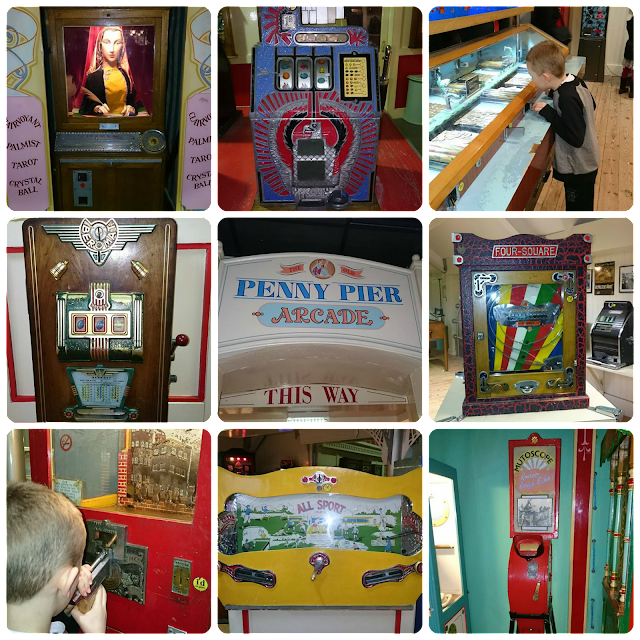 There is also a penny arcade full of old style games and arcade machines. You can even change up some of our modern day money for some old style pennies to have a go on some the machines. Unfortunately we were unable to do the pirate golf as it was closed due to the rain on our visit however it looks fantastic and if you are here I would highly recommend giving it a go, one round on the miniature golf is included in your ticket price! The food in the cafe is fairly priced however we opted to take our own lunch but there is a lovely cafe and seating area near the soft play if you wish to eat here. 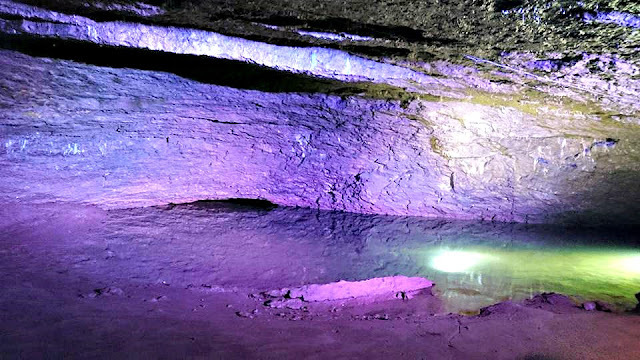 Our pictures only show a small amount of Wookey hole as there is just so much to see and do here! I also don't want to ruin the fun for you all to find for yourself. Its a day packed full of fun, education and history that will keep the whole family entertained and occupied for the whole day. You can purchase tickets or find out more about Wookey Hole via the Wookey Hole website here. Have you ever been to Wookey Hole? 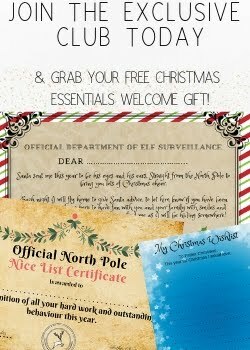 If not is it somewhere you or your family would like to visit?